Since I write appliance roundups, readers often ask me how they can narrow down appliance brands and models to the single one that’s the ABSOLUTE BEST. Or: How can you be certain you’re getting something that won’t break down? Many of us grew up with appliances that lasted 20 years or more — and that’s what we still want. No one wants to spend the money, or do the research, more often than necessary. These days there are more appliance brands than ever before, and there are so many review websites it can be hard to distinguish which are legit. Ultimately the frustration buyers feel is rooted in the fact that they don’t know whose reviews and ratings to trust. I’ve been in the media for over 20 years, and I’m used to doing deep research on all things technological. Yet, I often ask myself: How is it possible that hundreds of people can give five stars to the same product that others only give one star? As a homeowner seeing this can be exhausting. The conclusion I’ve come to is that we can never know which exact ONE appliance is the absolute best — and that’s partly because today’s products are so complicated. You can’t easily compare apples to apples anymore. Just look at my list of the features that come with many washing machines. Prepare to set aside time to go over it because it’s LONG. For every appliance feature listed there will be someone who loves it and someone who hates it. These aren’t necessarily objective opinions. The features may work well, but some people find them unnecessary or think they’re inefficient based on what they expect. A great example is High Efficiency washing machines, like the Maytag Bravos I own. Since I published my review of the 26 best top-loading washing machines and it made it to Page 1 of Google searches, I’ve gotten many readers asking me if it takes too long to do a wash cycle with the Bravos. I think it’s a good question – and I’ve timed exactly how long it takes to wash a large load, so I could give them an honest answer. But ultimately, only they can determine if it’s “too long” for their lifestyle and laundry habits. Another question I get a lot is: How loud is the Bravos in real life? To answer that I made a video of its spin cycle. I even included a photo of the load I stuffed in there. You can see it if you read that article. The point is: Seeing is believing when it comes to appliances. But it’s not always easy to see results even from a brand’s video. For instance, it’s impossible to do something similar with French door refrigerators. With appliances you can also have manufacturing errors that occur. An appliance I buy may work great right out of the box. If you buy the same product, you may be calling the repair guy (or gal) on Day 1. There’s always this element of risk. It’s also why I think the fine print on warranties is important — and those warranties vary from brand to brand. So what’s a consumer to do when it comes to making the final purchase – especially since it’s very difficult, if not impossible, to return large appliances if you decide you don’t want them? First of all, aim for the appliance brands and models that lots of people like. That means taking a look at the appliance reviews and ratings as a whole. Keep in mind that some of the extremely positive and negative appliance reviews might be fake. Of course fake appliance reviews are unethical. But we all know they’re out there. If you ever catch someone writing a fake review because someone is paying them for it (or to make the competition look bad), make sure to scold them and let them know it’s fraud. That’s why I make sure to research my sources’ editorial standards, and only choose reviews that I’m confident are sound. Even in this case, it’s subjective: Editors get appliances for a short amount of time, so their reviews aren’t based on long-term use. I also consider appliances with more than 500 reviews on the Home Depot website. I figure it’s unlikely that there are more than 500 fake reviews for a single appliance. But I admit it’s an imperfect science. Maybe some day I’ll need to increase that to 1,000 reviews or more… Or maybe stores like Home Depot will plug in the appliances on the showroom floor so people can take them for a spin before they buy. Can you imagine buying a car without taking it on a test drive first? Once you come up with a short list of the appliances you may want to buy, take a good look at the differences in features. It’s so easy to get drawn into spending more money because something includes an in-door computer, or something high tech like that. But do you NEED it? But I’m jaded. After one bad experience years ago, I made the decision not to assume that high tech is better. So for example, one reason I chose the Maytag Bravos washing machine is that it has dials you turn, rather than a touch screen. Yeah, call me old-fashioned. But the truth is my mother’s washing machine had dials and it never broke. The other truth: When I bought my first washing machine with a high-tech screen I had to get the entire motherboard replaced right away. It was under warranty. But it meant that I had to go without a washing machine for another three weeks! As someone who does laundry for four people it was maddening. The other issue is to look at appliance brands, and which companies manufacture them. I was surprised to learn who owns which appliance brands. Some brands that I assumed were American are actually owned by overseas corporations. 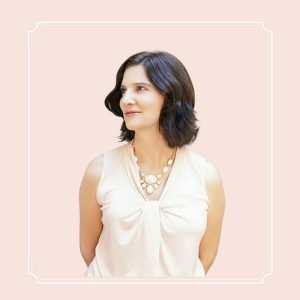 You could shop based on the manufacturer, then look at how the brands play out based on your budget. 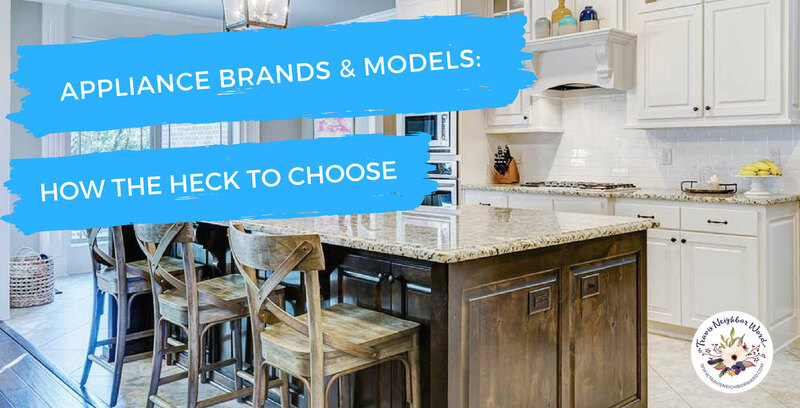 Once you understand how these brands interrelate, it’s fairly easy to see how the bones of appliances are often quite similar from the affordable brand models to the luxury brand models. The differences come down to things like finishes and fancy, extra “bells and whistles” that you may be very willing to do without. I also realized, after I made this list, that every major appliance I own is made by Whirlpool — and that’s the only manufacturer here based in the USA. An interesting tidbit. Based in the USA. Whirlpool sells more appliance units in the USA than any other appliance brand. They sell their own appliance brands and they’re both South Korean. In the first quarter of 2017 they made more money on appliance sales in the USA than Whirlpool. They were Number 1 and 2! Got questions about appliance brands? Leave a comment! Just wondering if you had considered or have written any articles on recommendations based on appliance repairmens input. They are the ones who see the problems we deal with everyday. In talking to them, most will be glad to tell you the ones they personally own as well as their recommendations based on what they repair. I have learned to avoid buying appliances from places other than reputable appliance stores. Having constant problems with two different models of refrigerators over the past 5 or 6 years I am really having a hard time choosing my newest selection after being without a safe food storage appliance. Luckily I have learned to keep more than one thermometer in my refrigerator and freezer and check them frequently! We have lost hundreds of dollars of food over this time period too. And keep a good old refrigerator in the basement as a backup as they are more reliable, but unfortunately not as nice looking and don’t have an ice maker or water dispenser. After the fourth breakdown on my Samsung we are now headed to an appliance store that does their own repairs, to look and get input from them on their recommended best brand for the features I want, knowing that I may need to give up some features if I have to in order to keep my food cold! AND I will never ever buy a major appliance without a warranty. It just that the breakdowns and repairs are so very frustrating. Omg! Had my Kenmore Elite and it’s the worst ! One problem led to another and have a 5 yr warranty and they have replaced 5 parts and still down, finally getting a replacement but I’m not getting same one.going with American made brand. Hey, Celia! I think repair guys are often replacing parts because even they don’t know what’s wrong (no offense to them, but the computers in these appliances are so complex nowadays). Basically if a part solves it, then that was the problem… or not… Good thing you’re getting a replacement. Replacing 5 parts takes A LOT of patience! I happy that I came upon your site and Thank You for having posted all the info regarding refrigerators. I have a 2012 Model French Door Kenmore Elite and yes, it is an LG built model. I purchased it on Black Friday 2012 and it was not plugged in until April of 2013 due to a den/living room/ kitchen remodeling that we started at end of year 2012. As of 2 wks ago, the compressor (cooling system) is down. Luckily, I have a Home Warranty Service Agreement and it will be replaced. I’d considered fixing it myself and keeping it as a back-up fridge, so I contacted an Appliance Repair Company and get some education regarding NOT to invest in repairing it due to more than likely by it’s ripe age of 5 yrs of service, something else would be breaking down. Apparently, the newer models are built to give an approximation of 3 plus years of service before something major doing down. By recommendation Whirlpool, some Frigidaire and Maytag were favorable with GE, again some Frigidaire and Hotpoint on the not so favorable. The cost of parts and labor vs. replacing with a new unit is placing many of these appliance repair people out of business. I do have a question for you regarding a brand I’ve never heard of: Fisher Paykel (New Zealand start) with 11 Countries that they do business in, I don’t know if all manufactured in each one, but several are in European ie New Zealand still, UK, Ireland, Australia, Italy, Canada, Asia ie, China, Singapore, Hong Kong, Thailand, Mexico and here in the USA. I went to their site and the design seems excellent but I’ve yet to find reviews or ratings for their products. Any info on your part? Thanks Cecilia! Glad the article is useful to you. I just added a section on Fisher & Paykel to this article. I couldn’t find many reviews to go off of, but the ones I read made it sound like custom service is terrible. My husband was told that LG makes the Kenmore Elite , but you haven’t listed who makes Kenmore…. is it true that LG only makes LG models? I just read on Wikipedia that as of last year Kenmore appliances are made by a bunch of brands, including Whirlpool LG, Panasonic, Electrolux, Daewoo Electronics, and Cleva North America. I’m not sure if LG makes the Kenmore Elite. Let me know if your husband has backup info on that. I’d love to know the answer! Don’t know if it was correct info or not. He was told that by a small independent appliance shop here in town. They do appliance sales and repairs and also sell parts. My husband called them about repairing our fridge, and the guy told him that even though it says Kenmore it was made by LG and that it is difficult to get parts . So I don’t know if that’s true, or my husband misunderstood, or they were just trying to make a sale on a new refrigerator. I can get Sears repair out here in 5 days, but they charge 89 dollar diagnostic fee. And even if you choose to repair it they don’t wave the diagnostic fee. So I’m still going back and forth on whether to spend the 89 bucks to find out what exactly is the problem, or just buying a new one. Because from what I’ve read it is likely the compressor which in that case all advice I read is to just buy a new one rather then spend the money on fixing. I’m with Roz, I hated my washer, they can claim how well it works all they want, but if there is not much water in it, the clothes don’t have the room they need to really swish and get clean …. in my opinion. I got rid of it and bought a basic machine with knobs to pick my water level , hot or cold water, and cycle. So much happier with it. But the main reason for me commenting is that my less then 4 year old Kenmore Elite french door refrigerator has stopped working. I was going to get it repaired but then I read where if it’s a compressor issue it isn’t worth the money to fix it and should buy a new one. We already had problems with this refrigerator in that there was an ice build up under the big deli/meat party tray department. Had to have Sears repairmen out 3 times before it stayed fixed. Evidently was a part recall that finally got fixed. So now I guess I’ll be looking for another refrigerator. I do love the french door feature and will get that again. I would like to go a little smaller since I’m only 5’2″ and I can’t reach all the way to the back of the top shelf. I was looking at some of the LG models, but Home Depot only had one black stainless LG on the floor and it was too big, as I mentioned, I want a smaller one… .maybe counter depth but would like to keep the water and ice maker features. But also don’t want to have to replacing it in another 4 years…… so do you know which Brand/model of french door refrigerators that needs the least repairs? Thank you for any advice. I was surprised when looking everywhere yesterday at all the crazy features…. I don’t need my fridge to make my coffee, have cameras and wifi, or light up if I knock twice. I don’t need it to play movies or be a “family hub” of any kind. I just want a french door fridge that has water and ice and won’t die in 3 years. Hey, Roz. I know, the market can be so confusing! Why do you say the HE doesn’t have enough water? They’re not supposed to have as much so they save water. I have an HE and it works really well, but it was strange at first to see it using so much less water. Or have you experienced problems because of an HE?